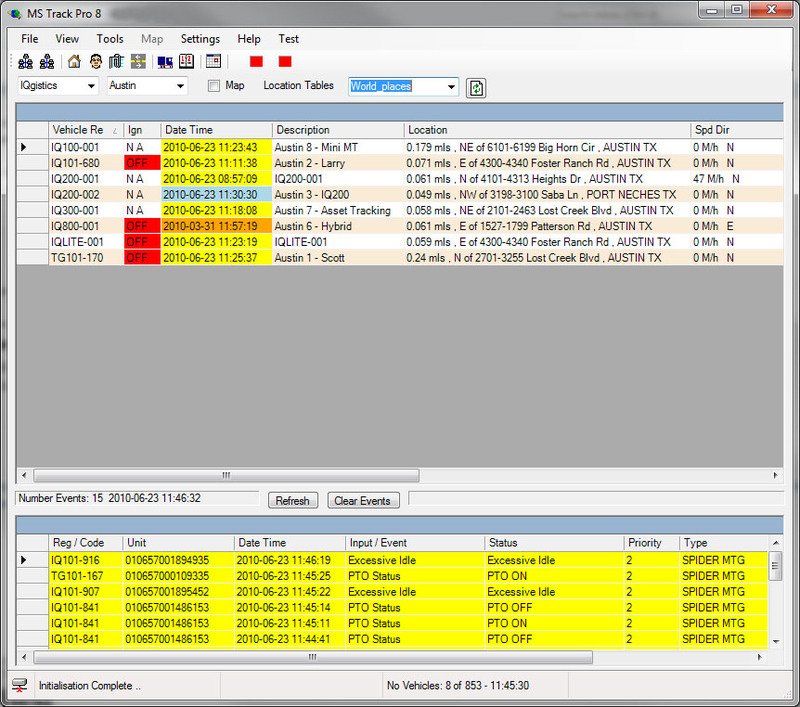 If long term access to your fleet data is important for your business, then IQgistics’ MS Track Pro is the desktop application for you. MS Track Pro is built to handle the vast amounts of data received from mobile terminals in such a way that users are able to manage by exception rather than by rule. The user can carry on with other tasks while relying on MS Track Pro to flag events and exceptions. The real time events generated by MS Track Pro can immediately notify the user of the need to take action via email, text or alarms, while the MS Track Pro Reporter facilitates the post event analysis of events and vehicle movements. MS Track Pro Reporter incorporates as many as 36 different reports allowing the user via a simple wizard to configure and store favorite reports. Additionally the user may schedule reports to be automatically emailed in a variety of output formats including PDF, Excel, RTF or Crystal. MS Track Pro Reporter provides managers with the information they need to improve decision-making and control. MS Track Pro Reporter allows you to generate tabular based reports which can then be printed or exported to other formats for further analysis. Maximize Driver Time by analyzing the duration of travel routes – better utilization of assets, knowing the best time of day to schedule a route and understanding the exact number of vehicles required for each day’s manifests. Improve performance through monitoring vehicle routes from start to finish and comparing these against company pre-determined plans. Increase efficiency by reducing the amount of time spent on manual paperwork entry, and thereby improving invoicing. Above all, having this information available and being able to demonstrate this to your customers can only improve your service level and make you stand out from the crowd. 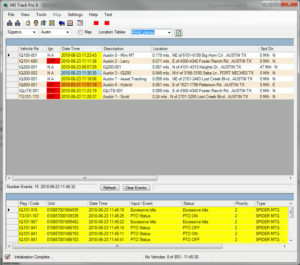 To show exactly how MS Track Pro can be put to work in your organization we will be happy to give you a demonstration.